16/05/12: I am too upset to leave a review right now..not even joking..but this has to be one of the most emotional stories EVER, it deeply affected me..That’s all for now….More to come when I have processed this story..if I can! 17/05/12: So the above is what I wrote yesterday…I’ve been processing this book in my head since then..thinking about it..thinking what to write in my review without spoiling it for anyone. I’ve decided not to add anything to this review for fear of spoiling it for any of you who haven’t read it! All I’ll add is my final feelings about this book. This book had me hooked from the start and I can’t believe it’s a debut novel because it is so well written and the flow between past and present is spot on and builds you up and up through twists and turns to a final emotional gasp out loud finish! I fell completely in love with Caleb and have to say that other than being totally gorgeous and yummy he had the strength and PATIENCE of a Saint!!! Yes he had flaws but wow what a man!! My heart broke for him so many times and 2 scenes in particular in this book had me walking round with red eye syndrome and spontaneous nose drips for the rest of the day..yeah I KNOW, not a pretty picture (hahaha)!!! And Olivia…wow..I really did like her. I loved her sarcasm, loved her sense of humour, loved her “this is me if you don’t like what you see move on attitude”. BUT, she is seriously ‘effed up at times, to the point where I wanted to seriously slap her! Again, 2 scenes in particular had me wanting to throw my kindle at the wall and shout “what is wrong with you why did you just do that? ?”…DOES NOT MAKE SENSE!!! Seriously, this book is something else; it’s filled with honest human emotions, feelings and actions. It is not pretty it is not fluffy, but it is BLOODY AMAZING!! The ending…..well I won’t go there but I CANNOT wait for book 2. Definitely a top 20 of 2012 for me!! I was originally going to give this book 4 stars after finishing it last night but seeing that it’s totally consumed my thoughts and I’ve been discussing it since then, I’ve bumped it up to 5 because of the effect it’s had on me. First off I’ll issue a warning! DO NOT read this book before going to sleep! You won’t be able to put it down and if you finish it you won’t be able to stop thinking about it. I should know…I’m functioning on 3 hours sleep because of it! I was discussing it with a friend 2 hours after finishing it…..yup at 2am!! This book is a page turner! In every sense of the word I was totally consumed, captivated….you name it. This book gripped me from page one and did not let go until the end. First off, I cried buckets through this book so have tissues at the ready! I was a wreck by the end of it. So many times I found myself gasping out loud at the twists and turns and I definitely wanted to grab the characters and slap them at times. The author has done an amazing job at weaving a story from past to present and it flows so well, this is an excellent piece of storytelling! How it builds up throughout the book until the reveal is nothing short of amazing. I really liked Olivia. I know a few people didn’t but I loved her sarcastic wit and appreciated how she accepted her flaws. She wasn’t whiny or seeking sympathy. She was who she was and the reader just deals with it. Caleb I just adored. Oh god, there were so many times my heart broke for him. I’m still in a fog from this book. I definitely have a theory (after going through about 10 different ones!!) about what is going on and I am definitely not revealing anything. Take my advice. Read this before any hype or people posting spoilers ruins it for you! Olivia Kaspen has just discovered that her ex-boyfriend, Caleb Drake, has lost his memory. With an already lousy reputation for taking advantage of situations, Olivia must decide how far she is willing to go to get Caleb back. 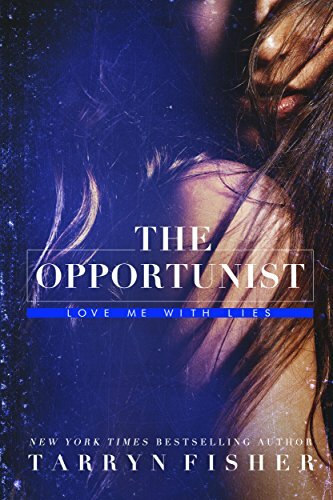 Wrestling to keep her true identity and their sordid past under wraps, Olivia’s greatest obstacle is Caleb’s wicked, new girlfriend; Leah Smith. It is a race to the finish as these two vipers engage in a vicious tug of war to possess a man who no longer remembers them. But, soon enough Olivia must face the consequences of her lies, and in the process discover that sometimes love falls short of redemption. Love it, your review sums it up, there was so much emotion after finishing this book. Big call but this is my Favourite book EVER. Olivia is the bomb.